Corporate insolvencies increased by around 10% last year – a clear sign that many businesses in many industry sectors are struggling to make a profit in competitive markets. Despite this, relatively few understand exactly what they can do to protect their operations from insolvency. Describing activities aimed at ensuring that customers pay their invoices within the defined payment terms and conditions, credit management can protect businesses from late or non-payment; contributing to a healthy cash flow and profitability. An effective credit management strategy should be an essential part of any firm’s financial management, but what does it involve and what does best practice in this area look like? With headlines in 2018 dominated by a number of high-profile financial failures, spanning industry sectors, the rise in corporate insolvencies in the UK came as little surprise. One of the most common reasons that businesses become insolvent is poor cash-flow management, which means that while their profit and loss accounts may seem positive, they may struggle to make payments when they are due. To help businesses boost their cash position and to avoid cash-flow difficulties, effective credit management is required to ensure customer payments are received on time. Rather than simply reminding customers to make payments promptly, credit management processes and procedures should be robust and comprehensive – from setting out the right terms and conditions when a new customer is taken on, to procedures for enforcement, should the worst-case scenario occur. New business is often a key commercial focus for organisations, and owner-managers may be reluctant to have difficult conversations about payment terms for fear of damaging customer relationships. Similarly, they may find themselves extending credit lines or flexing their payment terms to keep a key client happy, without considering the impact on the business as a whole. Other common credit management pitfalls include a lack of investment in systems and dedicated personnel to monitor payments and ineffective processes and procedures for managing invoices and reminders. Business managers must bear in mind that expanding their customer base will bring little value to an organisation unless customers actually pay their bills on time. When scoping for new business, companies can reduce the risk of late payment by conducting thorough credit checks for all potential new customers before contracts are agreed. However, it’s important to note that businesses’ credit risk can change quickly, so rather than conducting a review once a year or only at the start of a contract, this should be monitored on an ongoing basis, throughout the relationship. Clear and ongoing communication with customers is also vital to ensure payments are received on time; allowing the business to maintain a healthy cash flow. In addition to keeping a good relationship, where margins allow, owner-managers should consider other methods of incentivising customers to comply with the specified payment terms, for example, offering discounts to those who pay before the due date. Whether outsourced or managed in-house, businesses should audit credit management processes and procedures regularly. These audits should not only cover processes for issuing routine invoices and reminders, but also procedures for engaging a debt collection agency, and where necessary, starting legal proceedings. Whilst such measures are often regarded as a last resort, they could become necessary if all other efforts at recovering debts have been exhausted. Failing to prepare for a worst-case scenario, could result in financial failure if left too long. Administered by the Chartered Institute of Credit Management, the Prompt Payment Code sets standards for payment practices and best practice, allowing suppliers to raise a challenge if they feel they are not being treated fairly by a customer. By signing up to the Code, businesses send out a strong message to the marketplace that they are dedicated to maintaining fairness in the supply chain by paying customers on time. Business owners can also look for such credentials when forming new partnerships. 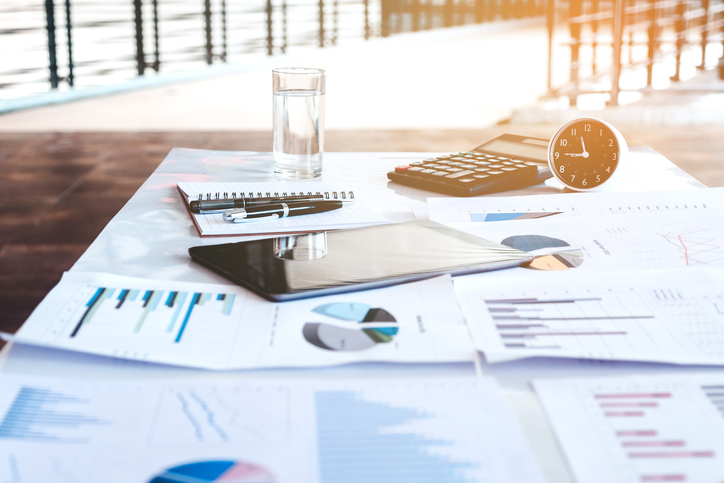 Regardless of the size of their client portfolio, owner-managers who fail to make efficient and effective credit management part of the day-to-day running of the business may find themselves struggling to maintain a healthy cash flow. By implementing best practice in this area, they can guard against late payment, strengthen their cash position and minimise the risk of insolvency in the year ahead. Bethan Evans is an Insolvency Partner at accountancy firm Menzies LLP.